Do you want to highlight the beauty of your house and landscaping, enhance your curb appeal, and feel safe and secure in your home at night? We offer customized residential outdoor lighting services tailored to you. Showcase the beauty of your home, landscaping or property, even after dark. 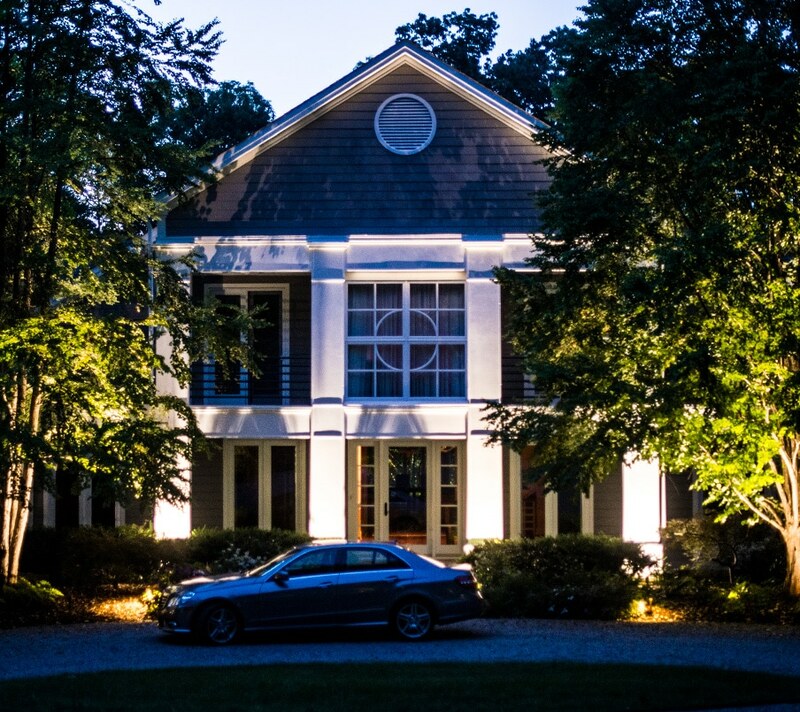 Uplighting or architectural lighting adds a strong curb appeal to any home, no matter the size or style. Light up a deck or patio, or add pathway lights along a sidewalk, fence, or wall to create a resort-like feel right in your own home. Did you know a well-lit house is 3x less likely to be the target of theft or vandalism? With custom exterior lighting services in your home, you can feel safe and secure every evening. Light up a walkway so you can see clearly even at night, and let everyone know someone’s home. We’ll even install downlights around your home to light up darkened areas of your yard. Before we start our design, we’ll walk your property with you and listen to your needs and expectations. We’ll look at the areas you want to light, and let you know which effects and products might be best for you. Whether you want to go all out with a high impact lighting design, or you have a “less is more” approach to your home’s appearance, we’ll work hard to design and install a custom lighting system for you. Each new installation comes with a Lifetime Warranty! get your FREE landscape lighting design!